Ryanair is following through on threats to "review" the free second cabin bag policy that it says has been abused by passengers. From November 1, all "non-priority" customers must check their second (bigger, 10kg) piece of hand baggage into the hold at boarding gates, the airline says. The 10kg bags can be checked free of charge. "Non-priority" customers will still be able to carry smaller pieces of free hand luggage (35cm x 20cm x 20cm) - such as laptops and handbags, on board. However, if passengers wish to bring larger items of carry-on baggage onto aircraft, they must purchase Priority Boarding at €5 per person, per flight. In other words, only priority boarding customers (including those on Plus, Flexi Plus & Family Plus fares) will be allowed to bring two carry-on bags on board. The policy changes will encourage more customers to check in bags and reduce the volume of carry-on bags at the boarding gates, Ryanair says. "We hope that by restricting non-priority customers to one small carry-on bag, this will speed up the boarding of flights and eliminate flight delays," explained Kenny Jacobs, its Chief Marketing Officer. To accommodate this, the airline will increase its check-in bag allowance from 15kg to 20kg for all bags, and drop its standard 20kg check-in bag fee from €35 to €25. A €10 supplement will be levied on these bags at Easter, Christmas and on longer routes during the peak summer months, however. The supplement is to reflect "increased handling costs", it says. 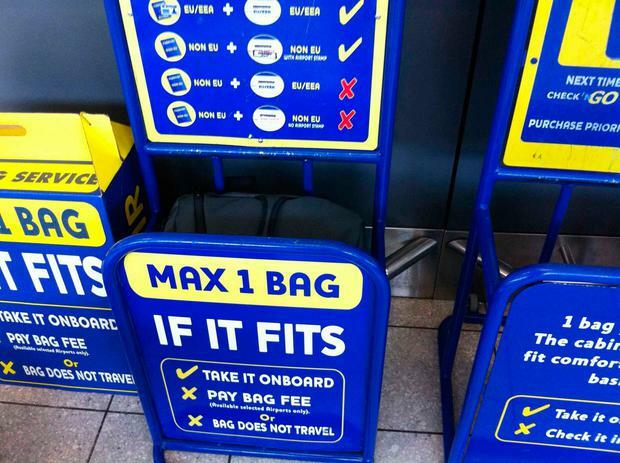 Ryanair has repeatedly threatened to review its second-free bag policy, which currently allows customers to carry one "normal" cabin bag (55cm x 40cm x 20cm in size and 10kg in weight) and one additional small bag (such as a handbag, laptop case or shopping bag) onboard for free. The policy has been abused by customers, it says, with rules "repeatedly flouted" by some showing up with oversized second bags like wheelie cases and rucksacks. Ryanair's Boeing 737 planes can carry 189 passengers, with only the first 90 cabin bags guaranteed to be accommodated in overhead bins. However, busy flights can see up to 360 carry-on bags, Jacobs says. Ryanair Q&A: What does the new cabin bag policy mean for me? “These bag policy changes will cost Ryanair over €50 million a year in reduced checked bag fees," he adds, but offering "bigger bags at reduced fees" will help to reduce flight delays "due to large numbers of gate bag and cabin bag offloads". 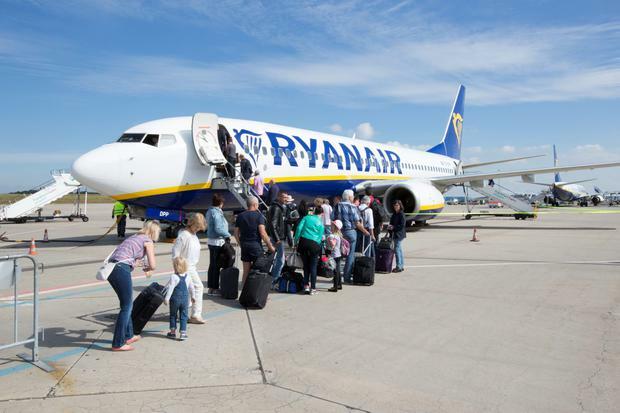 From November 1, any "non-priority" customers that refuse to put their bigger cabin bags in the hold "will not be allowed to travel (without refunds)", Ryanair states. Customers with infants may still bring a 5kg baby bag, however. The new system comes just days after easyJet launched a service allowing passengers pay £4 to have their hand luggage put in the hold. Ryanair's Priority Boarding can be purchased for €5 at the time of booking, or added to a booking for €6. It is available up to one hour prior to scheduled departure. "These lower bag fees and increased bag size allowances will come into play for all bookings for travel after November 1, and we hope our customers will enjoy the savings of our new simplified bag policy,” Jacobs says.